ASTANA – Mustafa Ayaz Modern Arts Museum in Ankara recently opened the exhibition “Spirit of the Great Steppe” that showcases 32 works of contemporary Kazakh artists. The exhibition features nomadic culture and traditions of the Kazakh steppes. 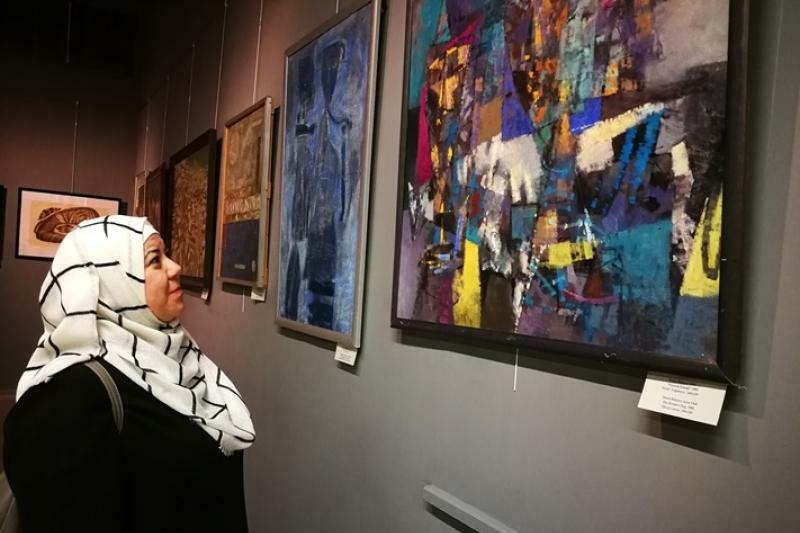 “Through these paintings, we see the world through the eyes of Kazakh artists,” said Abbas Ketiz, an associate professor at the Department of Fine Arts of Gazi University. Some art works depict the atmosphere of ancient Kazakh national games with the competitive fervour and tension of the battle, finest lyricism, while others illustrate historical figures, nomadic migrations on camels, commercial caravans, women’s national dresses and the culture of Kazakh hospitality. The artists used techniques, such as the realistic poetics of Dulat Aliyev, the abstraction of Marat Bekeyev, Gaisha Madanova and Andrei Noda and the graphic work of Yevgeny Sidorkin. “Turkish people must visit this exhibition. Works are performed professionally. For example, such pictures in graphics technique have not been drawn for a long time. Lectures about this technique were held twenty years ago at the Academy of Fine Arts. As you can see, the technique of ‘lithography’ in Kazakhstan has remained intact,” said Ketiz. The exhibition was displayed in the Turkish capital until Nov. 25 and will next be presented in mid-December in Bursa, Turkey. The Abylkhan Kasteyev State Museum of Art organised the exhibition. “Thanks to the organisation of such exhibitions in different cities of the world, the Kasteev Art Museum brings the art of Kazakhstan to an international level, introduces the international public to the history and culture of our people, to the works of our artists,” said Gulmira Shalabayeva, director of the Kasteyev State Museum of Art. 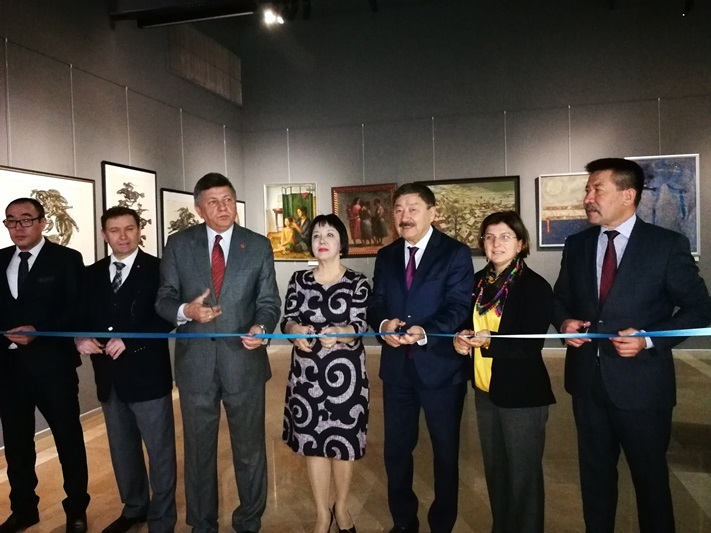 The exhibition was presented as part of the Ruhani Jangyru (Modernisation of Kazakhstan’s Identity) programme and initiated by the Kazakh Ministry Culture and Sports, International Organization of Turkic Culture (TURKSOY) and Kasteyev State Museum of Arts.